Have you ever noticed that family members, friends and even complete strangers have very strong opinions about the parenting process? When I think back 17 years to those early decisions, I remember wondering if my husband and I were making the “right” decisions for our first-born. I decided to nurse, but it was difficult. No one in my family had nursed and there really wasn’t support in our area for nursing mothers. In addition, my son had colic. At the time, I remember my very well meaning grandmother saying that I was probably contributing to that condition. Now, I loved my grandmother, God rest her soul, but the pediatrician stated otherwise. In fact, the pediatrician said that the colic could actually get worse if we put our son on formula. My husband and I made other parenting decisions that were, in some circles, frowned upon. We frequently allowed our son to sleep with us as a result of difficulty he had getting to sleep and staying asleep. If it weren’t for that decision, I don’t think I would have survived his first year of life! Still, it was difficult knowing that others did not approve. Would we ruin his ability to get himself to sleep as some of the “experts” warned? We also allowed a pacifier to help soothe himself. Would his teeth be crooked or his speech affected due to this decision? When it comes down to it, there isn’t one set of “correct” decisions for every parent to follow. Parenting is NOT an exact science. Every child is unique as is every parent. I wish I had been able to smile and nod at the well-meaning advice givers, but many times I became internally defensive and full of doubts as to whether we were making the correct choices. Parenting in the early years was not a perfect process. We made mistakes to be sure. Despite the mistakes, however, I’m happy to report, that our son thrived as he continues to do today. He gained weight, learned to go to sleep on his own, and gave up the pacifier before it could affect his teeth or speech. Oh, and despite waiting to potty train until he was close to 3, he learned to use the potty and stay dry day and night. As our second and third children were born (after gaining perspective from the decision-making process we had experienced with our first born), we were able to relax a bit with those early decisions and realize that we were making the best decisions for OUR children. BUT, when I think about where we are today with our first son, age 17, I continue to remind myself that every child is unique as is every parent. We are still making parenting decisions, albeit on a different level. 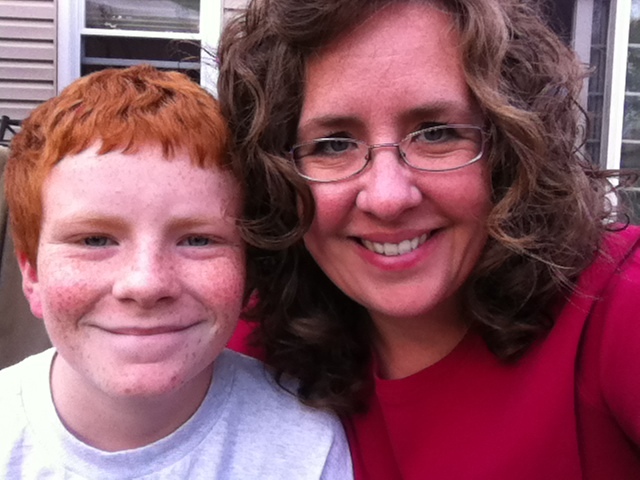 Should our son be required to work a part-time job? Should we allow him to drive to school? How much work should he be required to do around the house? What are our expectations for his grades? It’s natural to look left and right to see how our parenting peers are handling these decisions. In fact, some of our peers may even give us advice, solicited or not. However, just because a decision is “right” for another family doesn’t mean it’s “right” for yours. In fact, I’ve discovered that some decisions were appropriate for our oldest son that have not been appropriate for our younger sons. In the end, the children that we are raising are our responsibility, and we know and love them more than anyone else. In most parts of the country today, the Monday after Thanksgiving marks the end of the holiday weekend. Parents and children head back to work and school. It’s just another day. For those of you who live in or grew up in Pennsylvania you know this day to be an unofficial holiday–the first day of deer hunting season! Newcomers to our state are shocked that many schools and even some businesses close down for one or more days this week. It is not unusual for the “guys” to pack up all their hunting gear, food/drink and head to “deer camp” on Saturday or Sunday. They want to be in the woods all set to go once the sun rises on Monday morning. Hunters are also generous in sharing the venison from the deer. The Hunters Sharing the Harvest Program (HSH) was established in 1991. Individuals can donate all or part of the meat from their deer to HSH. Each year hunters have helped deliver 200,000 meals to food banks, churches and social services feeding programs. Hunters help our economy. With ¾ million individuals in the woods each season many businesses will do well. It is not unusual for hunters to travel several hours to go to their favorite hunting location. Gas stations, restaurants, convenience stores, grocery stores, etc. will all benefit. The seasonal deer processors and taxidermists also will be very busy for a few weeks. Although hunting is a male-dominated sport there are women who do enjoy hunting too. One of those women is a friend of mine, Joanne. 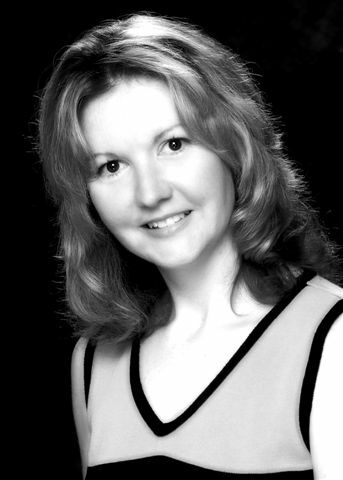 Joanne is a hair dresser by day and an AVID hunter. In a recent conversation she told me that the beginning of hunting season for her could be compared to a child anticipating the arrival of Santa Claus–she is so excited that she can’t sleep at night! 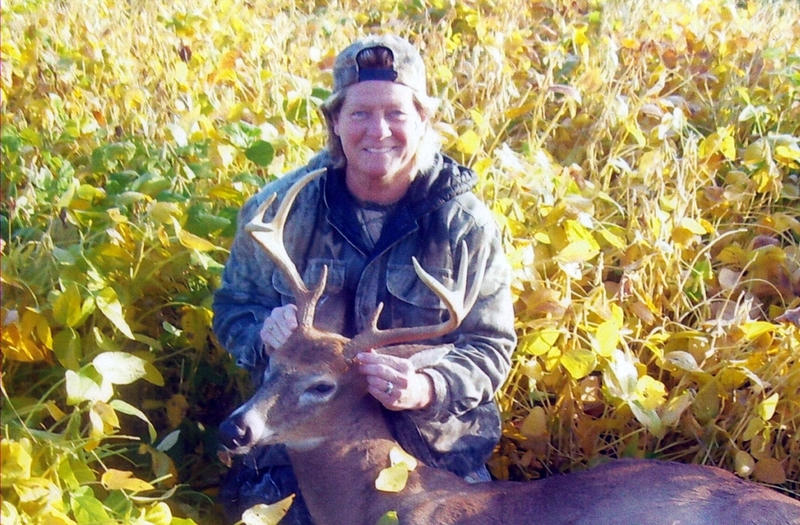 She started hunting at the age of 15 with Steve, who is now her husband. In her early years of hunting there were guys who didn’t want to hunt with her because they thought she “didn’t know what she was doing.” Her love of the sport got her through those times. After purchasing their farm more than 10 years ago it became much easier for her to get out and go hunting. (This is her version of stepping off the “merry-go-round” of daily life.) She told me of a time when her now grown son came home from school. Joanne told him they were going hunting for a few hours. When he said that he had homework to do she firmly told him that they would hunt first and then he would do his homework! So what is it that she loves so much about hunting? She says that it is being out in nature. You get to see squirrels, turkey, deer, etc. in their habitat. You even see unusual things like a bird landing on a deer! Joanne hunts as often as she can. In fact, her family claims that she is obsessed with it! She hunts squirrels and turkey occasionally and participates in bow and arrow, rifle and muzzleloader seasons with deer hunting. She is always trying to learn more about hunting, so she will frequently watch hunting shows on TV–while her husband watches the Food Network! Joanne has also learned the trade of taxidermy. She has prepared, stuffed and mounted several animals for herself and family/friends. 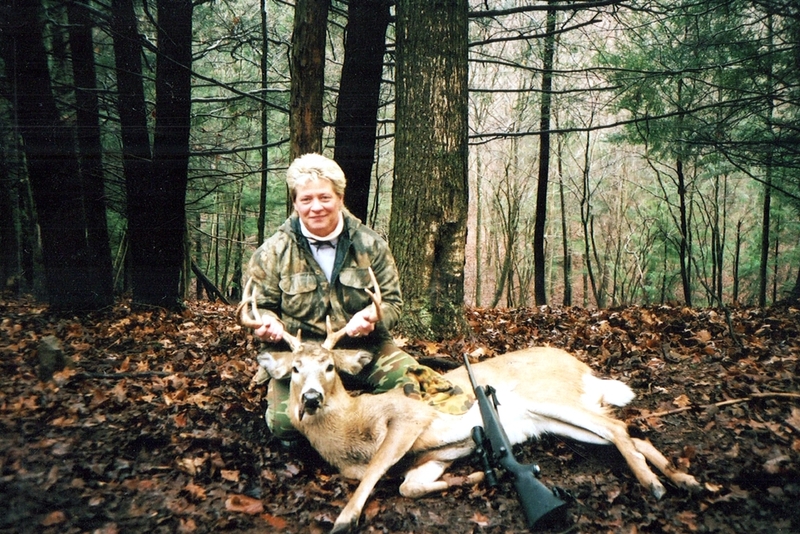 Joanne has certainly crafted her hobby over the past 20 (or so) years and continues to enjoy the sport of hunting to the fullest extent. Do you have a hunter in your family or have a hunting story to share? We would love to hear about your experiences and/or thoughts on Pennsylvania’s unofficial holiday–the first day of deer hunting season. Those of you who read Mary Ann Filler’s blog, “Change Your Perspective,” were likely as moved as I was. Yet for me, it was more than just her message of looking outside ourselves and our world into that of others to see our blessings. What actually most impressed me was that she had set out to write on one topic and then–bam–changed it completely because she just had to write about what was in her heart at that moment. That’s what we writers do. We see something, hear something, experience something … and we just have to write it down. Then we find that we just have to share it. And that’s what I felt like I had to do late this Monday night as I sat by the fire, warming my tired and aching back. For nearly two years now, I have been living (sort of) and dealing (barely) with chronic pain through two conditions. To spare you the details, I will just say that fortunately neither of my conditions is life-threatening. The first actually has now been completely treated and resolved, and the second is getting there. Although certainly this does at the end of the day make me grateful, those who have been through the same thing know that non-stop chronic pain and all that goes with it–pain management regiments, endless doctor’s visits, various treatments and procedures, and some big lifestyle changes really affects you and your family. As Thanksgiving approaches, I am especially thankful for the endless and unconditional love, support, and grace I have received from my family. Although just a small one–comprised of my husband, son, and dog–the three of them have helped me hold my life together when I have felt it coming unraveled. The best part about my family? It was not built by blood–it was built by choice and by love. Few of the people I consider extended family are biologically related to me. As far as I’m concerned, whoever created the expression “blood is thicker than water” was wrong. In my experience, those have generally not been the people who have been a part of our lives. Rather, it has been those who have come into our lives and stayed, who have become a part of our family by choice. 1) Count your blessings – all of them, no matter how small. Recently, one of the specialists I am working with delivered a difficult message to hear: I will not be able to run again. As a former avid runner, who found great peace, solace, comfort, and even triumph over life’s many trials through running, I was devastated. That is, until I realized that I have been, over time, replacing that activity with another–Middle Eastern dance. It is a doctor-approved activity I can safely do with my condition and it actually strengthens my body. Oh yeah, and I’m good at it–blessing counted! 2) Support and uplift all those people you know who have dealt with infertility and loss of children, and who have struggled to build their family. Celebrate with those who have finally done so through adoption. Recently, I talked with a cousin of mine who had suffered miscarriages as well. For her, even though she is now a grandmother and that time of great sadness was so long ago, discussing it still brought her to tears. The pain never goes away. Also, it hurts when an adoptive family is shut out from extended family activities and doesn’t feel embraced by those around them. It is, quite simply, not their job to have to fight to be included, or to feel welcomed and embraced. Rather, it is the job of the adoptive family’s extended family members and friends to go out of their way to make extra sure they are being sensitive to that adoptive family, and to see that they feel welcomed, embraced, and included. Your acceptance and love will mean more than you could ever know to them – please read my blog, “Supporting Adoptive Families” for some ideas on how you can be that special person in their lives! 3) Look around to find people who can fill the shoes of anyone biologically related to you who, for whatever reason, isn’t willing to be a part of your life. For awhile, my husband and I were really feeling down about this issue in our lives. It took us awhile to process through it, yet finally we made a decision to stop wallowing in the loss, change our perspective, and begin building our family through those whom we choose and who choose us. Our spirits have now lifted greatly, our feelings of sadness and loss have dissipated, and – best of all – our little boy is going to grow up around some pretty fantastic and loving people! Happy Thanksgiving, everyone, and happy National Adoption Month. Here’s to our families–no matter how they are built! As a Nation that believes all children deserve the chance to reach their full potential, we have a fundamental responsibility to ensure each of them grows up knowing the love and protection of a permanent family. During National Adoption Month, we give voice to children who are still waiting for that opportunity, celebrate the bond that unites adoptive parents with their sons and daughters, and recommit to providing every child with the care and security that will nurture their development and well-being. Later this month, many Americans will also mark National Adoption Day by completing a foster care adoption and embracing a new member of their family. Driven by reasons unique to their households but united by the spirit of compassion that moves all who choose to adopt, these parents will take up our country’s most important task — the work of raising our sons and daughters. As we celebrate the contributions of adoptive parents across our Nation, let us also strive to eliminate discriminatory barriers that would separate foster children from a loving family. Adoptive families come in many forms, and it is essential that all qualified adults have the opportunity to care for a child in need. My Administration remains committed to helping every child find a loving home. We have partnered with faith-based and community organizations across America to help connect children with adoptive parents, and we continue to work with State, local, and tribal governments to improve child outcomes; enhance safety, permanency, and well-being; and support adoptive families. I was proud to sign the Affordable Care Act and the International Adoption Simplification Act, which have made it easier for families to adopt, as well as the Child and Family Services Improvement and Innovation Act, which will help reduce the length of time young children are without families. We have built on those efforts as part of the National Adoption Campaign, which continues to bring adoption and foster care into our national conversation. Thousands of children living in America hope for the comfort and safety of a loving family. This month, we pay tribute to the dedicated professionals who help make those children’s dreams a reality, sharpen our resolve to find a permanent home for every child, and celebrate the stories of all whose lives have been touched by adoption. NOW, THEREFORE, I, BARACK OBAMA, President of the United States of America, by virtue of the authority vested in me by the Constitution and the laws of the United States, do hereby proclaim November 2012 as National Adoption Month. I encourage all Americans to observe this month by answering the call to find a permanent and caring family for every child in need, and by supporting the families who care for them. IN WITNESS WHEREOF, I have hereunto set my hand this first day of November, in the year of our Lord two thousand twelve, and of the Independence of the United States of America the two hundred and thirty-seventh. My youngest has food allergies but that doesn’t stop us from eating well. Having a child with food allergies can be overwhelming at first, but there are resources and support organizations available to make life easier. My youngest son Christopher, who just turned 11, has food allergies to peanuts, tree nuts and eggs which were diagnosed after he turned one year old. Let me begin by saying, fortunately, he has never experienced a severe reaction that required emergency medical attention. He developed slight wheezing and a bright red bottom covered with hives after eating a piece of bread with a thin spread of peanut butter. And so our adventure with specialists, allergy testing and strict food avoidance began. Anaphylaxis – a severe allergic reaction that can cause multiple, simultaneous symptoms including swelling of the tongue and throat, and difficulty breathing. This reaction can result in death. Always seek immediate medical attention if you believe your child is experiencing an adverse reaction to a food, and consult with your pediatrician about finding a specialist to handle further testing for food allergies. Eggless pancakes taste just as good as those made with eggs. Everyone’s experience with food allergies is going to be very different depending on which foods have to be eliminated from the diet and the level of sensitivity. Some children can experience a severe reaction to peanut dust in the air and others may only experience a reaction when the food is ingested. Honestly, it was very scary and frustrating for me as a mother at first. But that was 10 years ago. Ok, it will never “be easy” for a mother dealing with a new allergy, yet I think the resources and support have improved over the years. It helps to remain positive, proactive and open to working with people who are not familiar with food allergies. 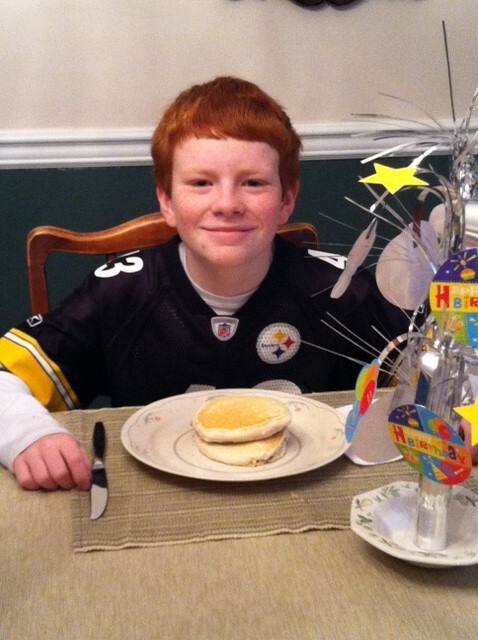 For us, Christopher’s food allergies are manageable. Baking a birthday cake, holiday cookies and other special treats can be challenging, but I’ve found recipes that don’t include egg and nuts. (I’ll share a few of these recipes with my next post.) Halloween and Easter were tricky at first, but we’ve learned how to handle it positively. Luckily he’s grown up with these food allergies, so he’s used to the dietary restrictions and the taste of alternative recipes. He doesn’t know any differently, and the rest of the family made the transition without too much pain. We have an Epi-Pen on hand in case of an anaphylactic reaction, and his elementary school has procedures in place to handle students with food allergies including a peanut-free table in the cafeteria. I think the bigger challenge is educating Christopher and those around us about his food allergies, as well as making others feel comfortable about it. You cannot expect that everyone will automatically understand or cater to the child’s specific needs. In my opinion, handling the situation requires a delicate balance. Above all, you have to make sure your child is safe. Next, being prepared is important—a little homework goes a long way in creating a positive experience for everyone. And always, in age appropriate stages, teach your child about their food allergy and how to protect himself. A food allergy can be a life-threatening situation so it’s important for family and friends to understand the situation before you arrive. It’s best to ask questions and discuss food choices before arriving at someone’s home. I’ve always found it helpful to either bring safe foods for Christopher to eat so our hosts would not have to worry or to politely suggest foods and products to serve or avoid. I also suggest calling a restaurant you plan on attending to discuss how the foods your child may choose are prepared or to preview a list of ingredients. I can honestly say that we’ve never had a bad experience where someone was unreceptive to my questions or requests…and when in doubt, always err on the side of caution. Thanksgiving is that one time of year, even more than Christmas I believe, when we prepare homemade dishes. “From scratch” is the catch phrase. Traditional, tried-and-true family recipes return to our tables year after year. Although I love revisiting these recipes (they are like old friends), sometimes it’s fun to shake things up a bit with a new recipe or two, wouldn’t you agree? For example, there are just too many delicious dessert recipes and not enough time to try them all! So although we normally have a traditional apple or pumpkin pie, I will often make, or our guests will often offer to bring, NEW exciting dessert creations every year. Great fun! But in terms of the traditional main dishes of Thanksgiving, it feels like breaking a sacred code, to consider deviating from your family’s most favorite recipes. Imagine hearing a collective intake of breath if you announced that this year you just plain didn’t make (fill in the blank with your prized recipe here). Has your family ever experienced this catastrophe? When I worked full-time, I would stay up all hours of the night in order to prep for the traditional main dishes of Thanksgiving. I did not want to break tradition! No wonder the turkey made me super-sleepy the next day. One of my grandmothers was famous for asking, “Is this home-made?” or “Did you make this from scratch?” Heaven forbid, if a mix was involved, she was not interested. The joke was on her though, when several times she found out AFTER eating a piece of cake, AND complimenting the baker, that that delicious cake actually originated with the dreaded cake mix. But the funniest irony of them all was… she herself didn’t bake at all! Family stories, especially those told in the kitchen, are a wonderful part of Thanksgiving. For my traditional, German grandmother, store-bought dishes just wouldn’t do especially on a holiday like Thanksgiving. Maybe that is why it is engrained in me. But I am starting to soften, and I don’t think it would be a crime to take shortcuts, use mixes or even consider store-bought pies (gasp). After all, whether you are working part-time or full-time, juggling a career and family, time is precious and the bottom line is… the most important part of the holidays is spending time together. If you have the time to prepare homemade dishes, they can be wonderful times spent with your children, teaching them how to make these treasured favorites. But if you don’t have time to make everything you want from scratch, don’t stress. There’s bound to be family drama with or without your favorite dishes on the table! I’m going to share one of my family’s favorite recipes, featuring corn as an ingredient. 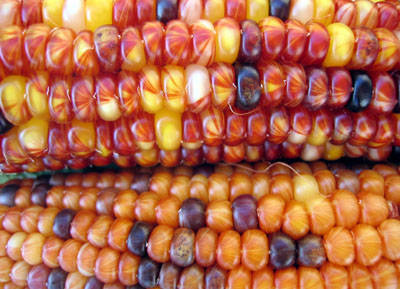 I love the golden color of corn dishes, as a reminder of the colorful fall season. This recipe comes from an early 1970s edition of Informal Entertaining Country Style by the Food Editors of Farm Journal. It was given to me by my “other” grandmother, “Nannie,” (not my traditional, German “Grammy”). I first tried this recipe a year or two after my husband and I married, and it’s been a favorite ever since, 20+ years later. The original recipe calls for canned corn, but I’ve always used frozen corn instead. Cook and stir the onion and green pepper in ¼ c. butter or margarine until the onion is tender; do not brown. Remove from heat and stir in the flour, salt, pepper and mustard. Cook and stir over low heat until mixture is bubbly hot. Remove from heat and gradually stir in milk. Stir and heat to boiling; boil 5 min. Stir in corn and eggs. Pour into greased 2-qt. casserole dish. Combine the cracker crumbs with 2 T. melted butter; sprinkle over top. Bake at 350 degrees 40-45 min. *I have prepared this dish the day before; stored it in the refrigerator and it reheats beautifully. Many blessings to you and your family this Thanksgiving! Donations of children’s toys make the holidays bright for many families. It’s that time of the year when the bell will be ringing as you enter Wal-Mart or other retail establishments. Yes, it is the Salvation Army’s annual Kettle Campaign. Does the sound of that bell fill your heart with the “spirit of giving” and make you reach into your purse (or pockets) for some loose change or does it make you feel a little uncomfortable because of all the charities that will be seeking donations of your time, talents and/or money this year? You may have various organizations (all with wonderful missions) contacting you or soliciting donations. It always seems more prevalent during the holiday season. Helping those in need doesn’t need to be painful, breaking your wallet or time-consuming. It can actually be very uplifting. What programs will the donations be used for? Will the contribution help the local community or will it be sent somewhere else? What percentage of the donation will actually be used for the mission/cause versus administrative overhead? Where I live (Adams County, PA) there is a unique way for individuals to learn about local non-profit organizations. The second annual Holiday Shopping Spree offers highlights of local non-profit organizations and outlines exactly where and how donations assist those organization’s clients. Twenty-six agencies are planning to participate in this year’s Shopping Spree which will be held on Thursday, November 29 from 4-8 p.m. at the Gettysburg Hotel. Each organization will have a display table and individuals will have the opportunity to talk with agency officials about their mission and their needs. I can’t think of any better way to learn about the needs of our local non-profit organizations. My son Seth, lends a hand during Holiday Family Outreach 2011. 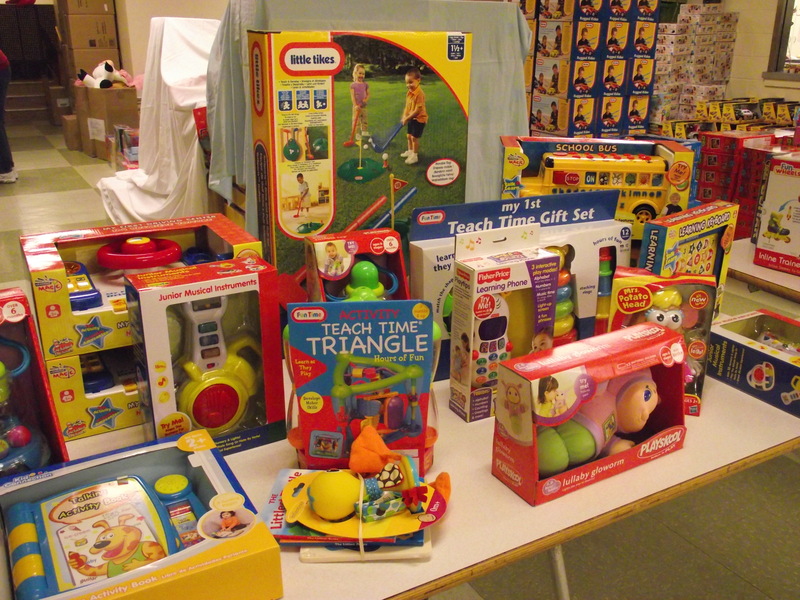 Toy Day offers a chance for volunteers of all ages to participate. What a wonderful family project! The holiday season almost upon us. I would encourage you to consider sharing your blessings with others in whatever way you are able. Do you have an organization or charity that is close to your heart? Please tell us about it and spread their mission. Also, in case you missed it, see our previous post “Change Your Perspective.” It may help you recognize the many blessings surrounding you. And if you are able, please consider donating to the victims of Hurricane Sandy, who are still struggling. In times of disaster, money is often the best form of giving. Our article includes a link to the Red Cross. Many thanks to the group ABATE of PA (Alliance of Bikers Aimed Toward Education) for their generous donations to HFO through the years. This photo is from 2010, when they donated $20,000! No Ifs, Ands, or Butts: It’s Time to Quit Smoking for Good! I have a childhood memory of biking into town several miles with my younger sister, nervously purchasing a pack of cigarettes to try later in the tool shed behind our house. Years later my mother told me she had found that old pack back there yet decided not to say anything about it. Flash forward to adulthood when I worked as the tobacco control coordinator for a regional branch of the American Lung Association in Gulfcoast Florida. As I provided the public with information on the health benefits of quitting and educated children in schools about the dangers of getting hooked I realized something … it could well have been me receiving the help instead of providing it. That first experience smoking with my sister, as well as a few other encounters with cigarettes over the course of my adolescence, could well have gotten me hooked, just as it has others. Twelve years after my career with the ALA, tobacco use remains the single largest preventable cause of disease and premature death in our country, yet more than 45 million Americans still smoke cigarettes. November 15th is the 37th Great American Smokeout. If you are a smoker, this is the perfect opportunity to make a plan to quit, or to plan in advance and quit smoking that day. By quitting, you take an important step towards a healthier life. Due to its addictive nature, taking tobacco out of your life is not easy to do–yet it is certainly an achievable goal if you prepare, plan carefully, and set yourself up to succeed. In this 2-part smoking cessation series, I first provide you with some overall useful information. Then just before the New Year, I will offer some helpful tips to get you started on the road to a healthier, happier you! What makes quitting smoking so difficult? Nicotine, a drug found naturally in tobacco, is as addictive as heroin or cocaine. Over time, a person becomes physically dependent on and emotionally addicted to nicotine. This causes unpleasant withdrawal symptoms when you try to quit, and makes it hard to stay away from nicotine after you quit. There are many other harmful chemicals and substances found in tobacco. To quit permanently smokers must deal with both the physical and mental dependence. Simply put, for your health! Smoking harms every organ of the body. There are both short-term and long-term benefits to quitting smoking. There are also many ways in which quitting smoking can improve your appearance. The biggest reason to quit? Half of all smokers who keep smoking will end up dying from a smoking-related illness. What other health risks are caused by smoking? Based on past data collected from the US Centers for Disease Control and Prevention (CDC) it is estimated that adult male smokers lost an average of 13.2 years of life and female smokers lost 14.5 years of life. Plus, the diseases triggered by smoking can steal your quality of life long before you die. Smoking-related illness can also limit your activities by making it harder to breathe, get around, work, or play. However, no matter how old you are or how long you’ve smoked, quitting can help you live longer and be healthier. People who stop smoking before age 50 cut their risk of dying in the next 15 years in half compared with those who keep smoking. Ex-smokers also enjoy a higher quality of life. What difficulties might I face as I quit? More money in your pocket each week–smoking is an expensive habit! You may have heard that quitting smoking causes you to gain weight, yet health benefits of quitting far outweigh risks from a potential small weight gain (usually less than 10 pounds). Your heart rate and blood pressure drop. The carbon monoxide level in your blood drops to normal. Circulation improves, lung function increases, and coughing and shortness of breath decrease. Risk of coronary heart disease is half that of a continuing smoker’s after 5 years; becomes the same as a non-smoker’s 15 years after quitting. Risks of certain kinds of cancers are cut in half, or fall to that of a non-smoker. Now that you know the health benefits of quitting smoking and are armed with vital information to consider as you make your quit plan, you have taken the first step to a healthier life. Next month I will share proven tips to kicking the habit for good. In the meantime, I welcome former smokers to share their insights and stories. Here’s to your health!